And some Mercedes looking tail lights. I really try to find out the type and brand but I had no success yet. Maybe a Subaru Legacy? 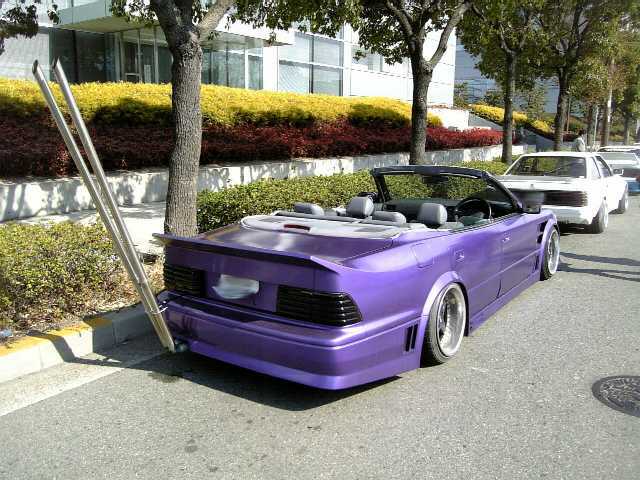 It could be a Toyota Celsior, the overall shape makes me think that… but it’s heavily modified, with details like the chopped roof, the “raised” lines of the bonnet, etc… so I’m not sure. Mayby it’s a Toyota Celsior UCF10/UCF11 (aka Lexus LS400)? For some reason it looks like a Celsior from the front but it aint. I like the victory-pipes tough! 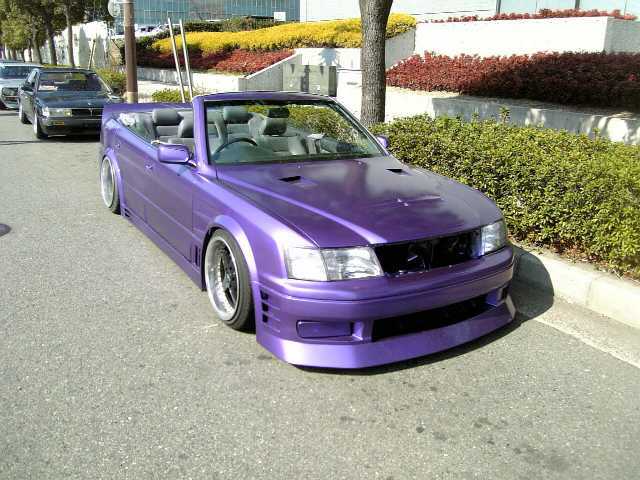 It´s definitely a Lexus LS400/Toyota Celsior UCF20! I did consider the first generation, but it looked different… I never guessed it would have been the second generation Celsior/LS400!